Whether she's writing about her unsuccessful efforts to get her money back from an obstinate carpet salesman, grappling with the tectonic shifts in her relationship with her son as he matures, trying to maintain her faith and humor during politically challenging times, or helping a close friend die with dignity, Lamott seeks out both the divinity and the humanity in herself and everything around her. Throughout these essays, she writes of her struggle to find the essence of her faith, which she uncovers in the unlikeliest places. 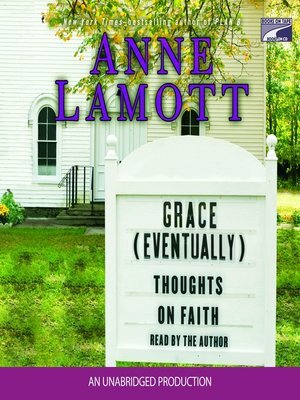 By turns insightful and hilarious, pointed and poignant, Grace (Eventually) is Anne Lamott at her perceptive and irreverent best.